Are you thinking about trying yoga? Don't know where to start? We've got you covered. The biggest hurdle to trying something new, is just actually starting. Yoga has many physical and emotional benefits and can truly change your life for the better. Science-based benefits of yoga include relieving stress and anxiety, reducing chronic pain and inflammation, improving sleep and increasing strength, balance and flexibility - to name a few. Your body and mind will thank you! Just remember there is no judgement in yoga. It's your practice, just for you. 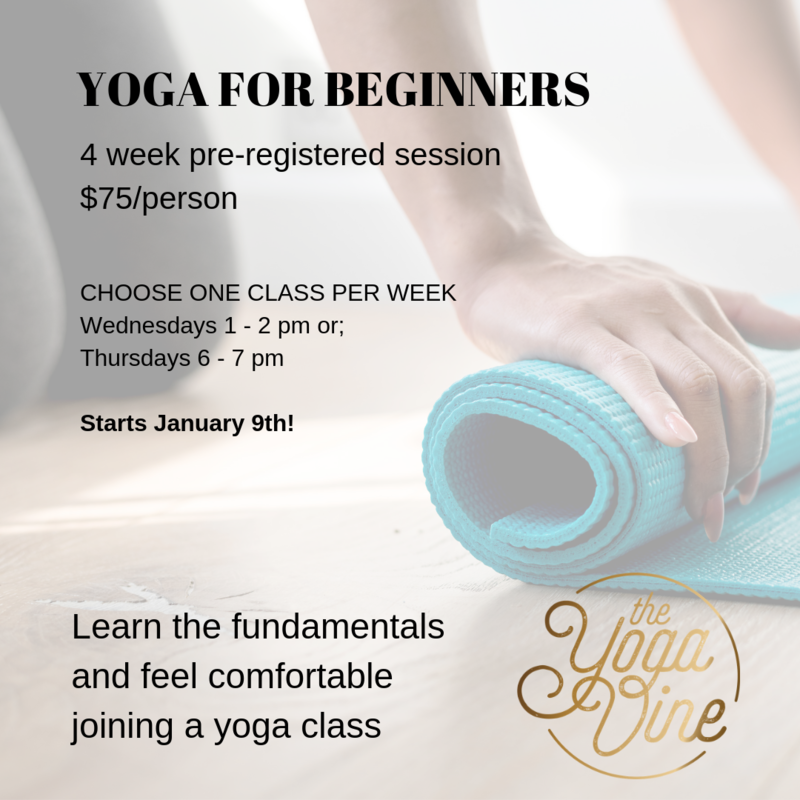 TRY OUR BEGINNER YOGA SERIES! Our Gentle Hatha classes are also a great option for beginners and those looking to gain a deeper familiarity with basic yoga postures. Just yourself, in comfortable light clothing. You can bring your mat, but we also provide mats, water, mugs and everything you need to enjoy your practice. We suggest you arrive at least 15 minutes prior to your class to give yourself time to relax and meditate. Learn the fundamentals and feel comfortable joining a yoga class. This series is for anyone looking to learn more about yoga postures, correct and safe alignment and inspiring yoga lifestyle philosophies. Practice yoga, change your life!